There is a complete help file here, to help you burn your CD, anyway if you have any problems send us a message and we will try to help. You have the Software, and the hardware ... ready to go. Insert the CD on your CD drive and Press any key to boot from CD... yes after a few seconds you will see the welcome screen Below.Then choose Install to the hard disk. 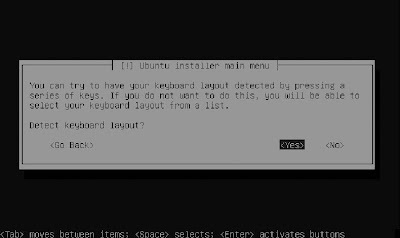 If you want the program to detect the keyboard automatically, select yes. 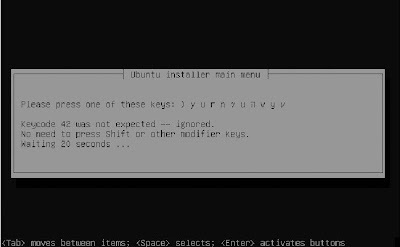 Next the installer will ask you to hit a specified key( in this way it will detect your keyboard). WiFi network cards and or Graphical adapters, may need configuration later. 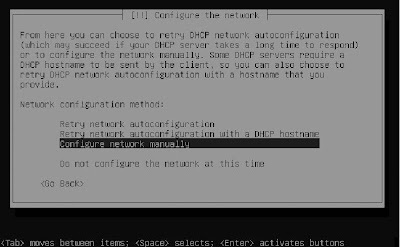 If you are connecting the server directly to the router, or you have a DHCP server, the configuration will be done automatically. 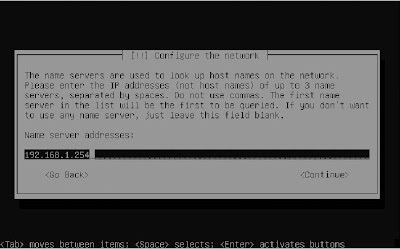 When setting up a server usually you will need a static IP address, at the moment should be OK with a Dynamic IP address. 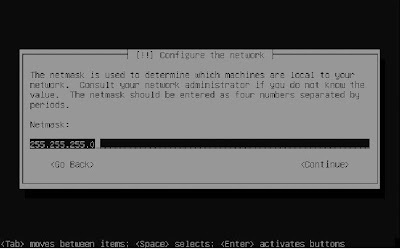 Select configure network manually and enter the IP address you like to use. 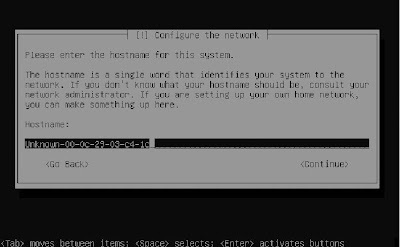 In this step the installer will ask you to enter your default gateway, it will be the address of your router, in doubt ask your network administrator, if you are the administrator don't ask anyone :). The DNS server, allows you to reach other computers on the internet by their names, instead of their IP addressess. If you are in a small network your ISP provides you the DNS . Another alternative is to use Open DNS servers they are really fast, and can help to speed up your internet connection. Now you are asked to enter the name from your system. It is one of the most important steps, as a professional you must now all about partitioning , file systems etc, please pay attention to the following steps. Is the process of dividing the hard disk space in to chunks, so it can be used by the operating system or different users. so the operating system knows the layout. Limited in space a maximum of 20 partitions can be done. They not very flexible, if for some reason you need to resize a partition it is a little complicated and you may loose some information. You can create an unlimited number of logical volumes. Logical volumes are very easy to resize. It doesn't have a one to one relation with the hard drive, you can create a logical volume that uses 3 hard disks at the same time. fraction of the disk space of the original volume. Logical Volumes are not bootable, you will need to create at least one traditional partition to boot your server. How you want to layout your server hard drive ? /Boot : your /boot partition is very important, at least 100MB and Traditional partition. / : the /root file system contains everything that hasn't been split off to another partition 8gb are usually enough. /var: is used by your server to store information Dynamically, used by your printer cue etc 4gb . /home: The home /file system is allocated for every user in the system is where the user store all the files, it is very dynamic make sure is allocated its own partition. /srv: It is used by the Apache web server and FTP servers to store information, Very Dynamic aswell. Ext2 : or second extended file system is a file system for the Linux kernel. It was initially designed by Rémy Card as a replacement for the extended file system (ext). It is fast enough that it is used as the benchmarking standard. Although ext2 is not a journaling file system, its successor, ext3, provides journaling and is almost completely compatible with ext2. 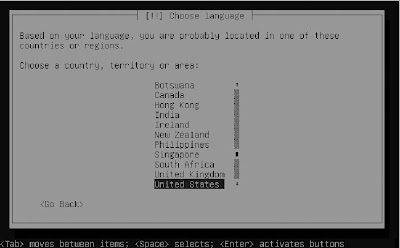 XFS : is a high-performance journaling file system created by Silicon Graphics, originally for their IRIX operating system and later ported to Linux kernel. Ext4 : or fourth extended filesystem is a journaled file system in development, designed as a backwards-compatible replacement of the ext3 filesystem. Now you know a little more about partition and different options, the installer gives you 3 options. Guided - use entire disk: This is the easiest option. It offers a guided installation of yourhard disk, based on traditional partitions. 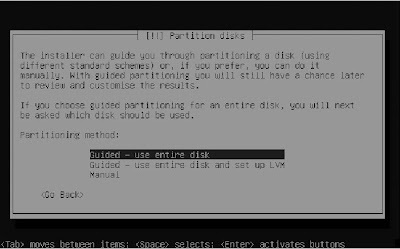 Guided - use entire disk and set up LVM: This configuration option is a bit more complex.It offers you a wizard that allows you to create an LVM-based disk configuration. Manual: Use this procedure if you’re sure you know what you are doing and you don’tneed the help of any wizard. We will see how to partition the hard drive, using the three methods but in this chapter we will use the guided partition to make it simple. 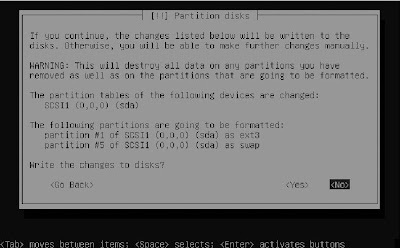 Using the Guided Partitioning Procedure. 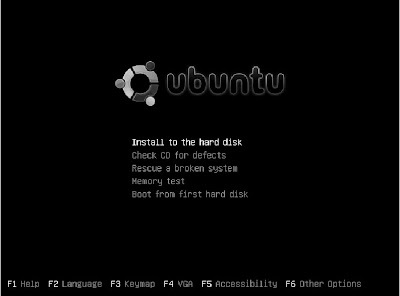 Use this method if it is your first installation and you just need to see how Ubuntu works. Select Guided - use entire disk . You will get an overview of all your available hard disks and the size.Select the hard drive you want to partition and press enter. The installer will show you the default layout of your system. Select yes and you are ready to go. Your installation is almost complete there are a few steps left. First enter the timezone for your clock settings. calculated as an offset from UTC. However, many PC-based systems use plain local time instead of UTC. Select the appropriate setting here and then press Enter. Enter the name for the user account you want to use, remember this is not the root it is just a normal user account, and enter the password twice. If you are using an HTTP proxy enter the details now, or you can ignore this step and just press next.